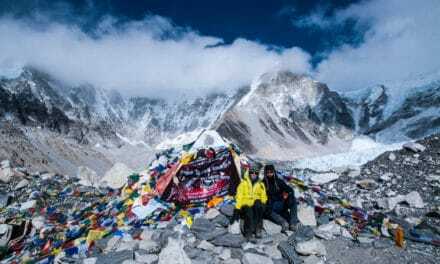 Why Nepal and the Mount Everest Base Camp (EBC) Trek? We wanted to go on a trip during the winter holidays and the first idea was a multi-country European winter experience and then a final few days in Morocco for a warm and spicy ending. We accumulated a good amount of United Airlines frequent flyer miles to use for this trip to cover the air travel. Yet, by the time we were ready to book, the Europe and North Africa plan was no longer going to work. It took too many miles, the flight choices weren’t great, and it was just too difficult to make it happen. So, we pulled up the Google world map and started thinking about new destinations and checking them against the airline’s website to see how far our miles would take us. 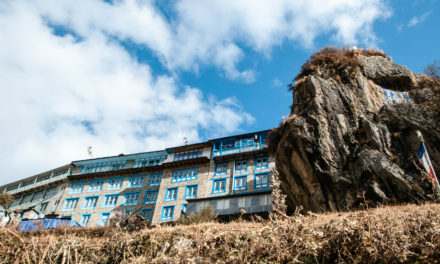 We narrowed down the choices to a few different countries, each on a different continent until the idea struck that it would be great to go to Nepal and trek in the Himalayas! We have previous mountaineering experience, having climbed Mt. Shasta (14,179’ / 4,321m) in far northern California seven times. We’ve also read and watched many mountaineering accounts of historical and recent expeditions. So, Nepal and the Himalayas occupied our thoughts quite a bit through the years. 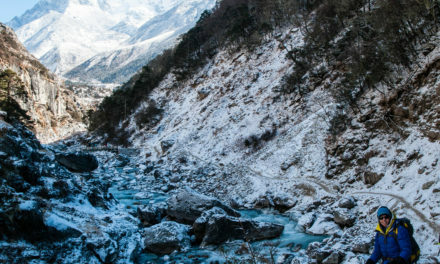 However, since we chose not to pursue grander mountaineering aspirations, Nepal stayed in the back of our minds as somewhere that we definitely want to visit but not with particular urgency. It turned out that we had enough miles for a trip to Nepal with just minimal cost for fees and taxes. 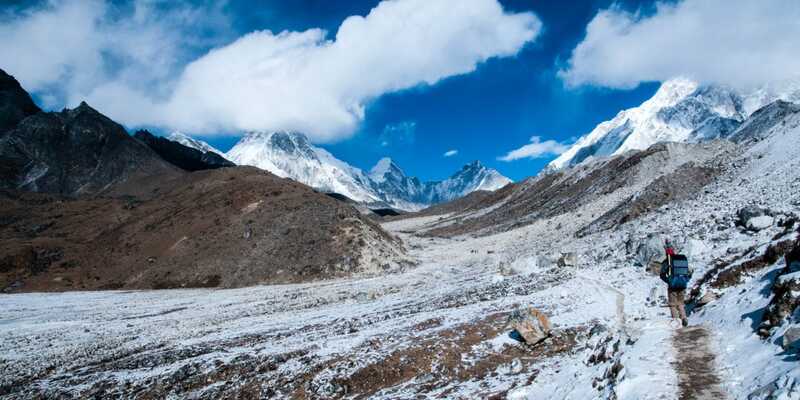 Trekking to Mount Everest at this time of year promised to be challenging with extreme cold. But, it would also be uncrowded and especially beautiful. So, the Nepal trip was booked and it was now time to get prepared! You will notice Tibetan Buddhist sayings that we’ve curated on each page of our Nepal trip report. The Nepali have spirituality deeply embedded into their lives and we saw this firsthand. In our gallery of pictures, you will see many examples of their faith and spirituality. Their well-known prayer flags are always fluttering in the wind with the prayers being read and sent to the heavens and universe. We honor that and have picked some of our favorite quotes. Get the latest articles, pictures, and recipes!